… and here is mine. I feel there will be plenty of time to “chew the fat” (as they say) so I will just post my latest work to leave the workshop! 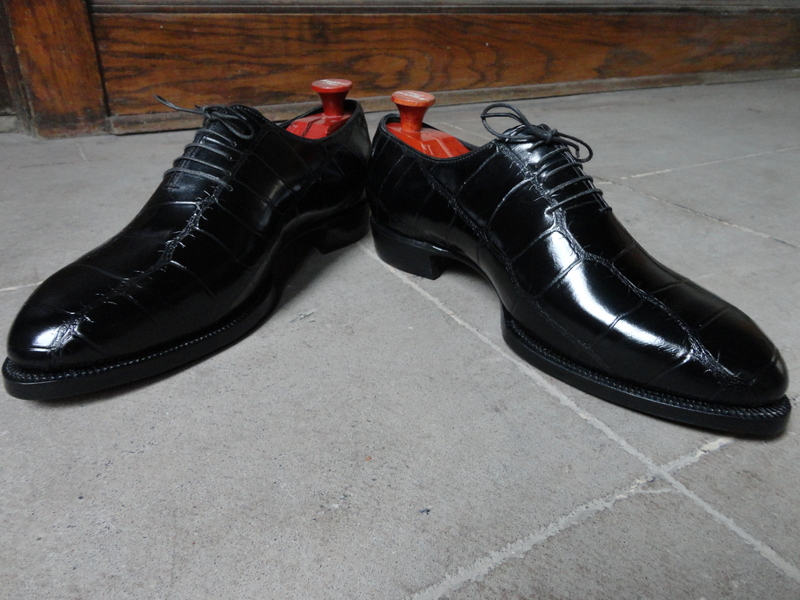 This first shoe is a wholecut oxford made in a black embossed calf leather. I love when the simplicity of a design makes room for more radical elements. 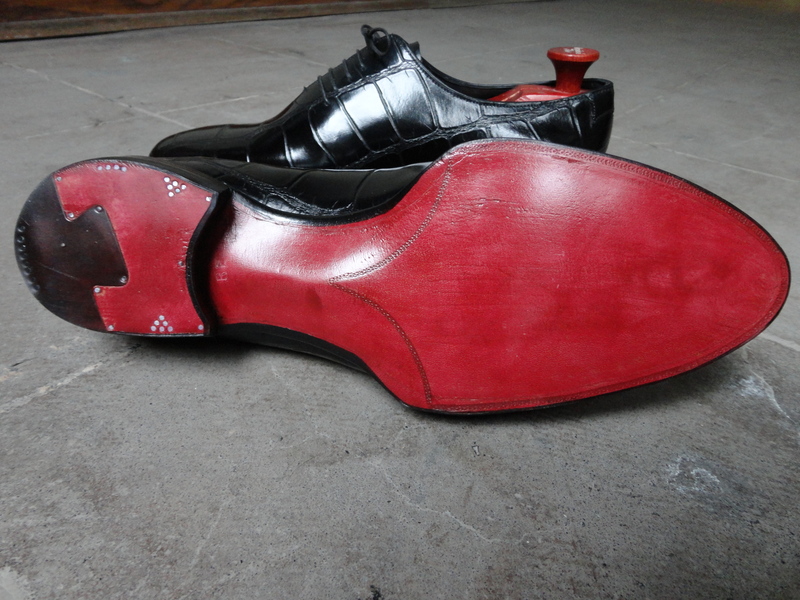 With red soles to match the shoe trees! 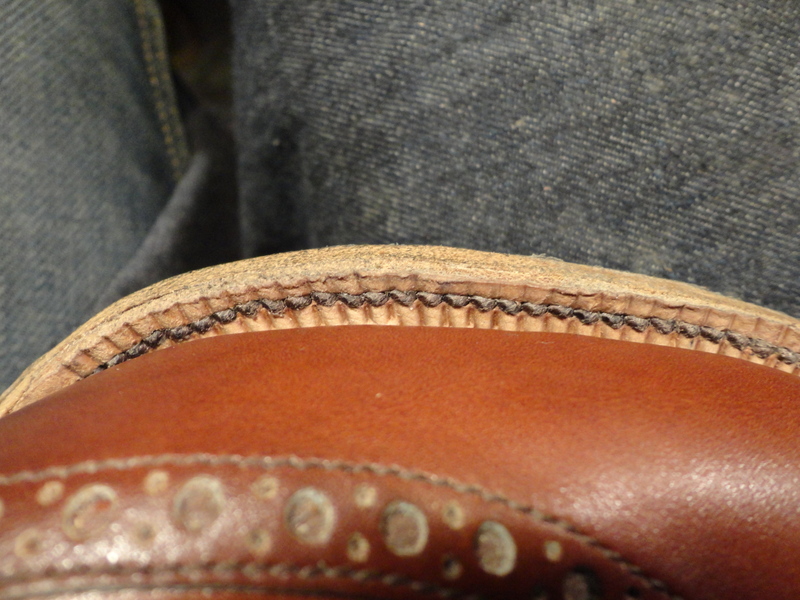 Very narrow/beveled fiddleback waist. I was happy that the customer was pleased with the final result… My heart always skips a beat when they slip their foot in and take those first steps. It can be a fine line between good or ill fit. 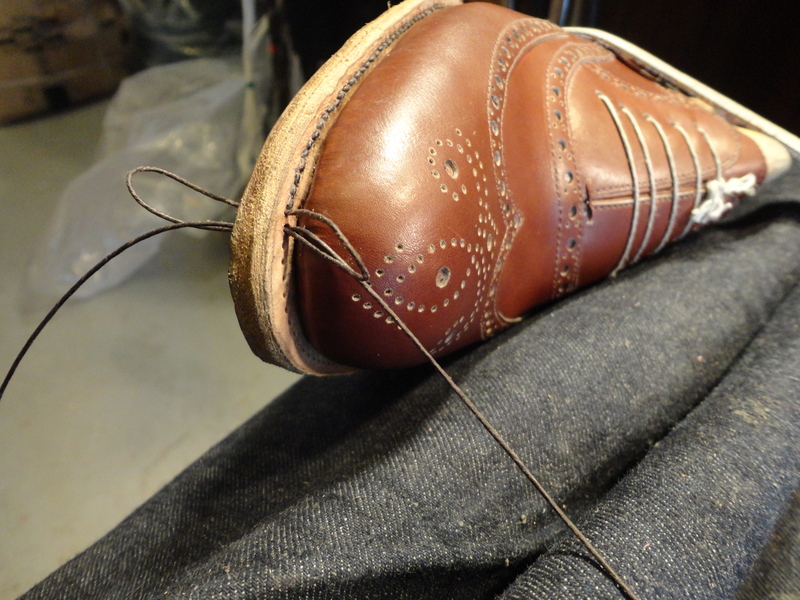 Next up is a classic full brogue wingtip design. 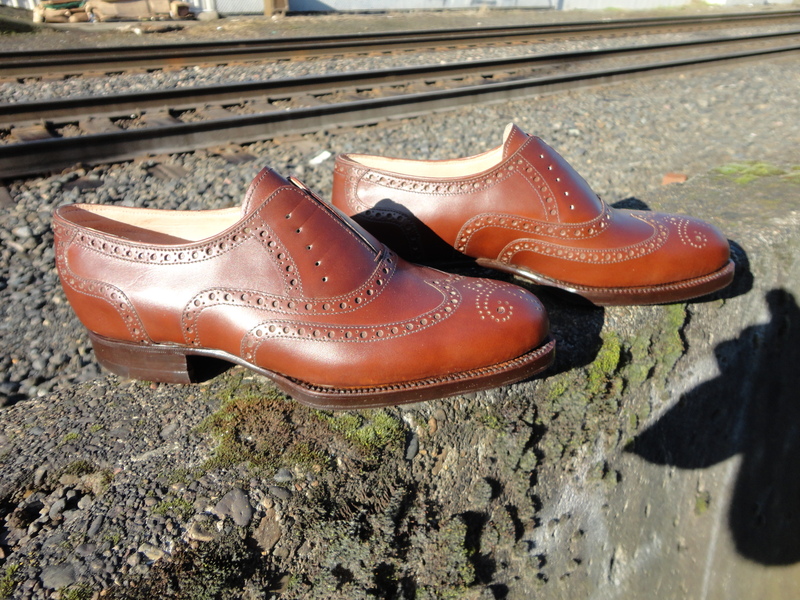 The leather is a beautiful “campari” brown (according to my polish color chart) french box calf leather. 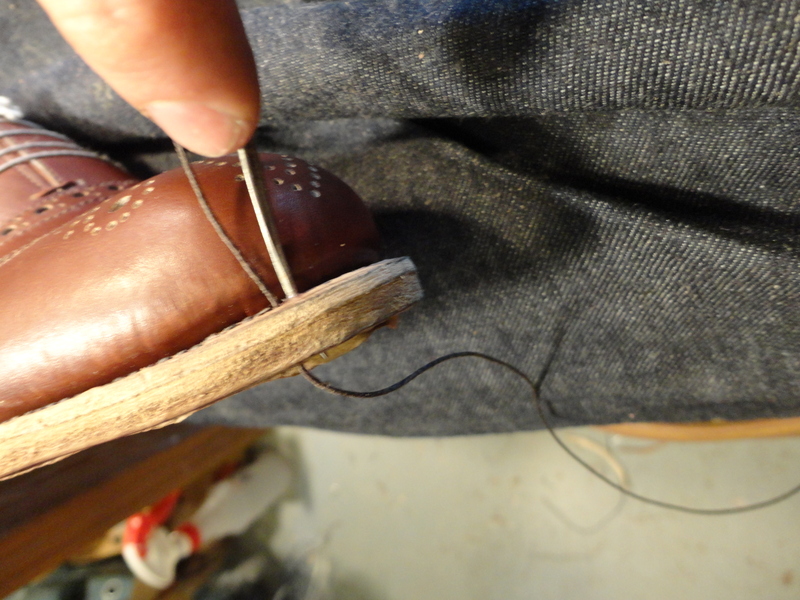 Unfortunately there is a slight fit issue with the heel and I am currently correcting it, but I might have to remake the shoe. 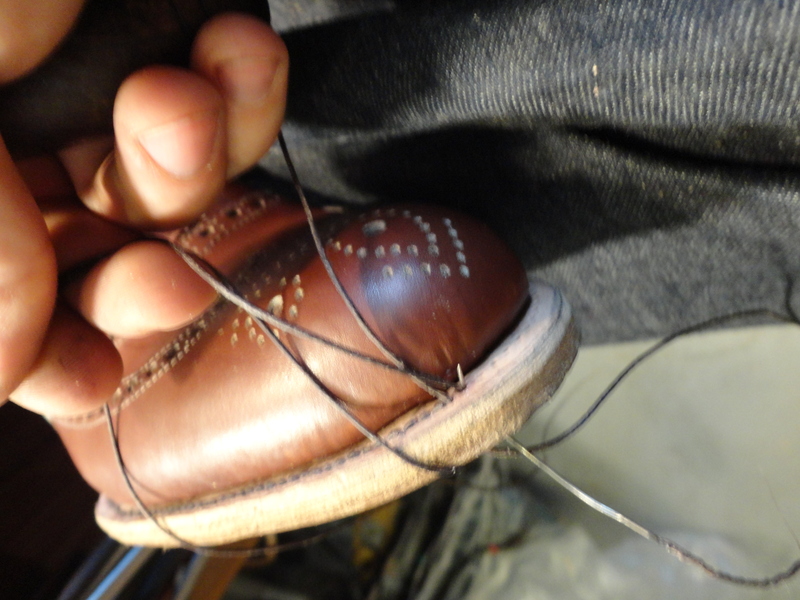 Sole stitching by hand. Takes time but the results are more than worth it. Well that’s a start. Thanks for reading! I know my Bass boots are in good hands! Was good to meet you today, really like what you are making.